You can probably imagine dying to save your spouse’s or children’s lives. You might even consider dying for other family members or friends. But how about dying for an enemy? In the eyes of the world, it’s utterly ridiculous, but with God it’s an example of His unconditional love for those who are called. That’s the only way we can receive eternal life. Paul, in the beautiful 5th chapter of Romans, writes that it was “while we were enemies we were reconciled to God by the death of his Son, much more, now that we are reconciled, shall we be saved by his life” (Rom. 5:10). Rarely would someone die for an enemy, but Jesus taught, “Greater love has no one than this, that someone lay down his life for his friends” (John 15:13) and then lived that out at the cross. Next, Jesus died for the wickedest of all men and women. If someone’s sin is great, the Savior is greater. 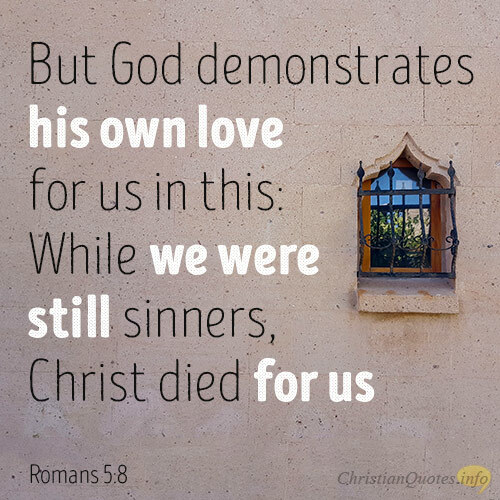 That is how “God shows his love for us in that while we were still sinners, Christ died for us” (Rom. 5:10). Again, not only did Jesus die for His enemies (Rom. 5:8), He died for enemies that were wicked sinners. That makes it doubly amazing. That is how God demonstrated His love, and that should be enough to convince everyone. Jesus wasn’t forced into the cross. This had been the plan from the very beginning. The Apostle John writes of Christ as “the Lamb slain from the foundation of the world” (Rev. 13:8), and He “was foreknown before the foundation of the world but was made manifest in the last times for the sake of you” (1 Pet. 1:20). The truth is, Jesus voluntarily give His life, as He said, “No one takes it from me, but I lay it down of my own accord. I have authority to lay it down, and I have authority to take it up again. 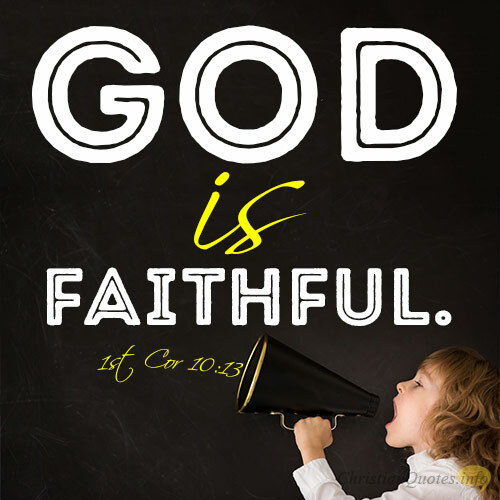 This charge I have received from my Father” (John 10:18). Romans chapter 5 is a beautiful demonstration of the love of God through the death of His Son, although the grave didn’t hold Him. What that means for all of us who have repented and trusted in Christ is that “we have now been justified by his blood, much more shall we be saved by him from the wrath of God” (Rom. 5:9) by dying for His wicked enemies and doing so by His own free choice. That’s love!